We were asked to tender for two flooring projects at the University. 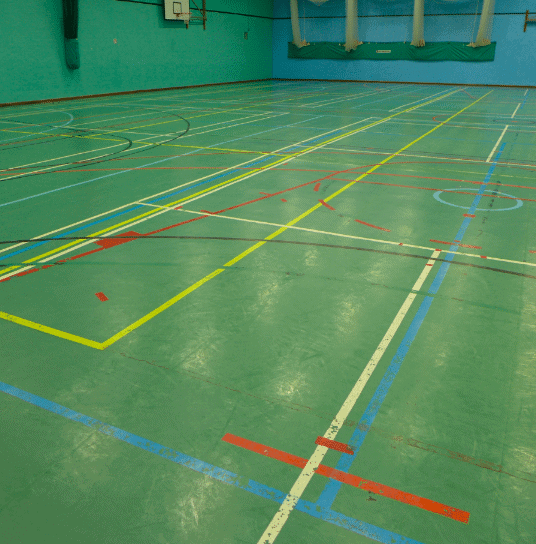 The Cage sports hall and the dance studio. 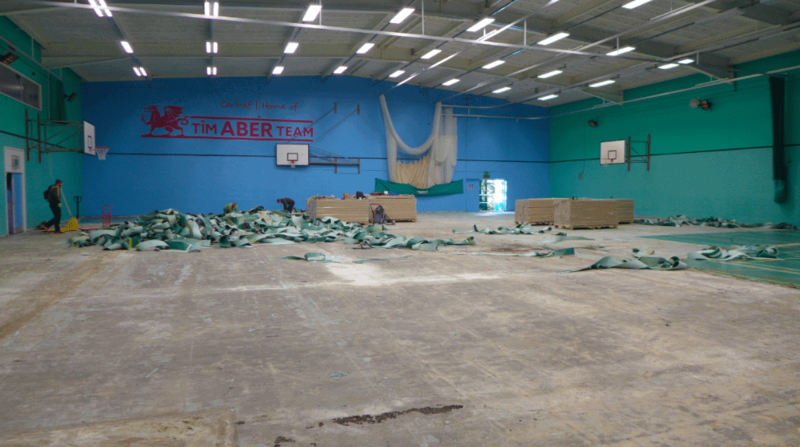 The Cage project specification was to uplift the existing Taraflex floor and replace it with a new sprung timber system. In the dance studio the specification was to remove the existing Junckers floor and replace with a new timber system. 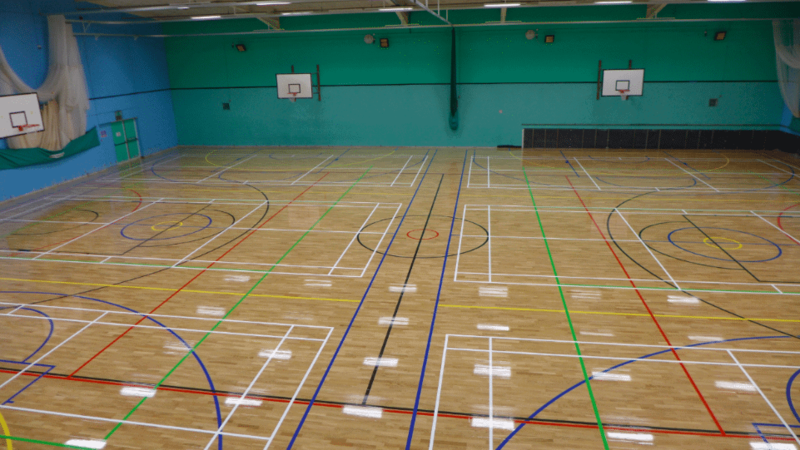 Both systems had to be durable and comply with BS EN 14904 (European Standard for Sports Floors). 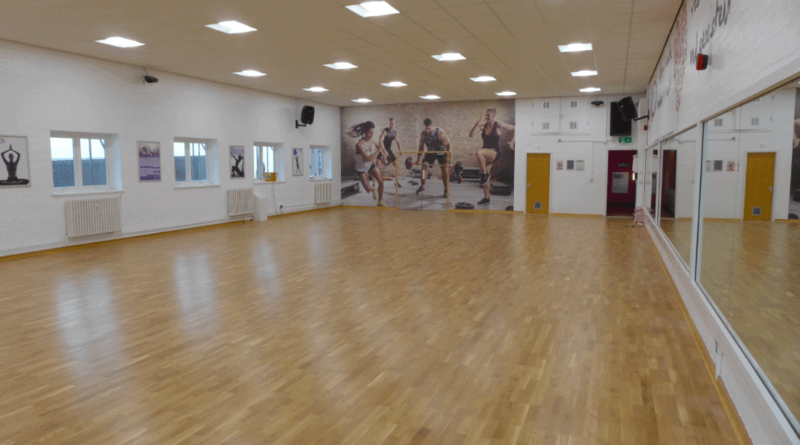 Our proposal to install a Boen Boflex Timber surface with vented skirtings in the Cage sports hall and a Boen Actiflex Timber surface in the dance studio was an easy decision. We were awarded the contract for both areas and a time slot was booked for both areas for the work to take place. The uplift of the existing Taraflex surface in the Cage uncovered serious issues with the sub-floor. Various options were considered before it was agreed on a Weber pump screed being applied over the whole area to rectify the problem. Extreme preparation was carried out to address damp and unstable areas in the sub-floor prior to the pump screed being applied. Having a perfect sub-floor to install the Boflex system made the timber installation a lot easier. Once the surface was installed we line marked, sealed the floor, and installed the University logo. We installed Boen’s vented skirting and installed bespoke door trims on all the doors. The uplift of the studio floor uncovered no issues with the sub-floor. The Boen Atiflex system was installed quickly and efficiently. Trims, skirtings and a bespoke footwell were installed and the area was back in use the following day.